While scientists and doctors aren't sure of the causes, most IBS symptoms in women are linked with stress, anxiety, and emotional struggles. However, you can avoid certain foods to lessen your chances of experiencing symptoms. According to statistics, 22% of the population suffers or has suffered from irritable bowel syndrome, with women being the most affected. Science hasn’t proven a cause, but IBS tends to go hand in hand with stress and strong emotions. We will explain IBS symptoms in women, specifically. The exact name is “Irritable Bowel Syndrome” (IBS) and it consists of a series of symptoms that a person experiences, specifically abdominal pain and very significant changes in the intestinal rhythm. There are no infections or physical changes involved, and it is not due to any kind of colitis or spastic colon. A doctor will diagnose you after various tests, but in general, it tends to occur in women who are younger than 35. As we stated above, the mechanisms that cause it are still unknown. It is often chronic – episodes tend to occur every month. There are digestive problems and changes in intestinal movement. 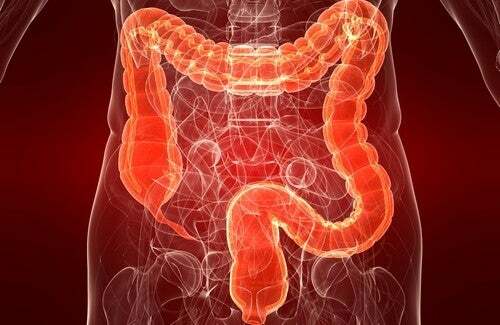 Experts say that in some way, the colon acts almost like a second brain. This is where your nerves and anxieties are located. Any worry can cause a change in the digestion process, as insignificant as it might seem. However, IBS can also be influenced by certain foods that you react badly to, as well as hormonal changes and genetic factors. For example, if your mother suffers from irritable bowel syndrome, it is likely you will suffer from it too. This is definitely the main symptom. It tends to appear especially in the lower part of the abdomen and towards one or both sides. It is a characteristic burning sensation that can sometimes range from the lumbar area and even to the legs. The pain tends to come at moments as pricks and burning. It is very uncomfortable and incapacitating. According to statistics, it is more common for women who have especially painful periods to experience irritable bowel syndrome. Painful periods are known as dysmenorrhea and it tends to happen when certain hormones cause greater contractions in uterine muscles. That is why the hormonal factor determines if you are part of the group of women who experience this disease. In general, it tends to be passed from mother to daughter. This is also very common. Sometimes you could spend days without going to the bathroom. In turn, other times you could suffer from uncomfortable diarrhea. Bowel movements also tend to be painful. You don’t know what to eat to solve it, because you feel full and you tend to lose your appetite. You can also experience bothersome gas. Irritable Bowel Syndrome and your emotions are intimately related. You have surely noticed that when you suffer from periods of stress and anxiety, that is when your intestine suffers the most and when you feel the worst. However, when you are calmer, the situation gets better and relaxes. You should, therefore, be attentive to those periods when you are stressed out and when you are struggling emotionally. If you are a person who suffers from Irritable Bowel Syndrome, you know that its occurrence will make itself known. You should look at it somewhat like a headache. You don’t need to have an organic problem to suffer from its pain – sometimes fatigue, poor diet, worries, or anxiety can make you suffer from IBS. As a result, it is fundamental to start to manage your emotions, stress, and anxiety properly. Avoid acidic foods, like coffee and caffeinated beverages such as soda. Avoid sweets and all those foods with refined flour. Various studies say that in these cases, you should reduce your consumption of gluten because it tends to make IBS worse. Reduce your consumption of animal proteins as well: red meat, fish, chicken, etc. Try to eat small meals 6 times a day. Remember to chew well so your body can more easily digest the food. Drink plenty of water. Beet juice with carrot is great for IBS symptoms in women. Increase your consumption of probiotics. These care for and strengthen your intestinal flora: fermented dairy products, yogurts, miso soup, kimchi, Kefir, etc. Citrus fruits are great for IBS symptoms in women: peaches, strawberries, kiwis, apples, and papayas. Mint oil acts as a good protector for your intestines and helps calm inflammation. With regard to infusions and herbal teas, the best kinds are fennel seeds, mint infusions, and melissa infusions. Above all, remember to manage your emotions properly and stress so that it doesn’t overcome you. Establish priorities in your life and recognize what is most important. Protect your self-esteem and try to get time to yourself to do your own things every day, resting and doing whatever makes you happy. Rajilić-Stojanović, M., Jonkers, D. M., Salonen, A., Hanevik, K., Raes, J., Jalanka, J., … & Philippou, E. (2015). Intestinal microbiota and diet in IBS: causes, consequences, or epiphenomena?. The American journal of gastroenterology, 110(2), 278. Pimentel, M., Hwang, L., Melmed, G. Y., Low, K., Vasiliauskas, E., Ippoliti, A., … & Sahakian, A. (2010). New clinical method for distinguishing D-IBS from other gastrointestinal conditions causing diarrhea: the LA/IBS diagnostic strategy. Digestive diseases and sciences, 55(1), 145-149.